Ideal for statuary, antiques, boats, transportation equipment, vases, railings, metal furniture, metal trim, frames, and instruments. Use like Metalfix or Ferrobond where a bronze appearance is preferred. 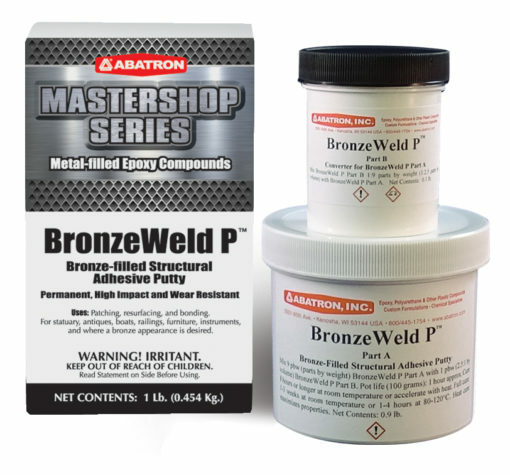 Q Does this product develop a patina like regular bronze? Answered by the admin	No, it is a metal powder encapsulated in epoxy resin. If you would like a bronze patina finish you can purchase our patina product by clicking here.